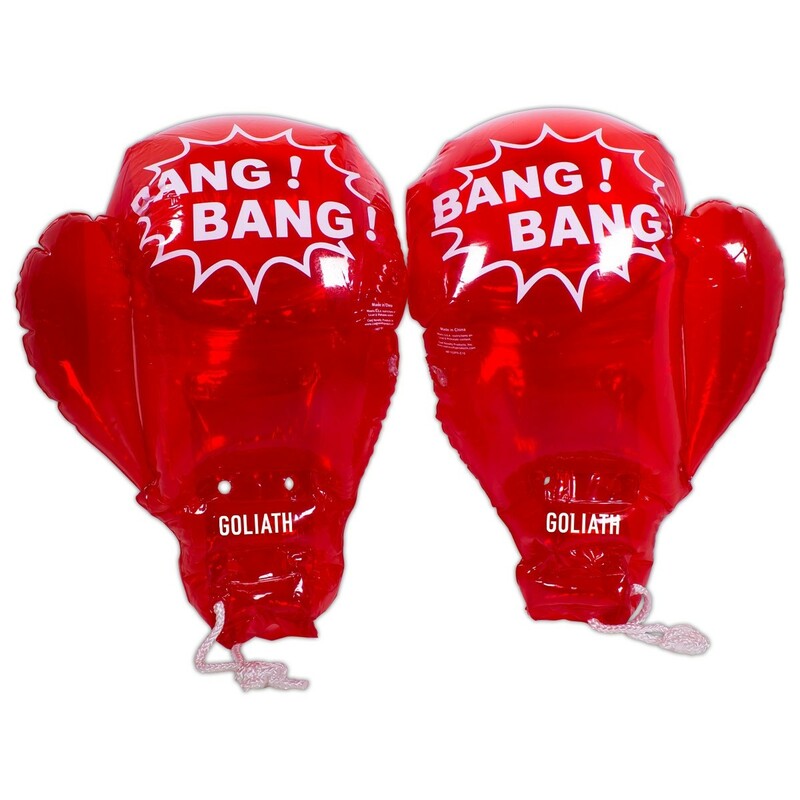 Put up a fight for your clients with these inflatable boxing gloves! 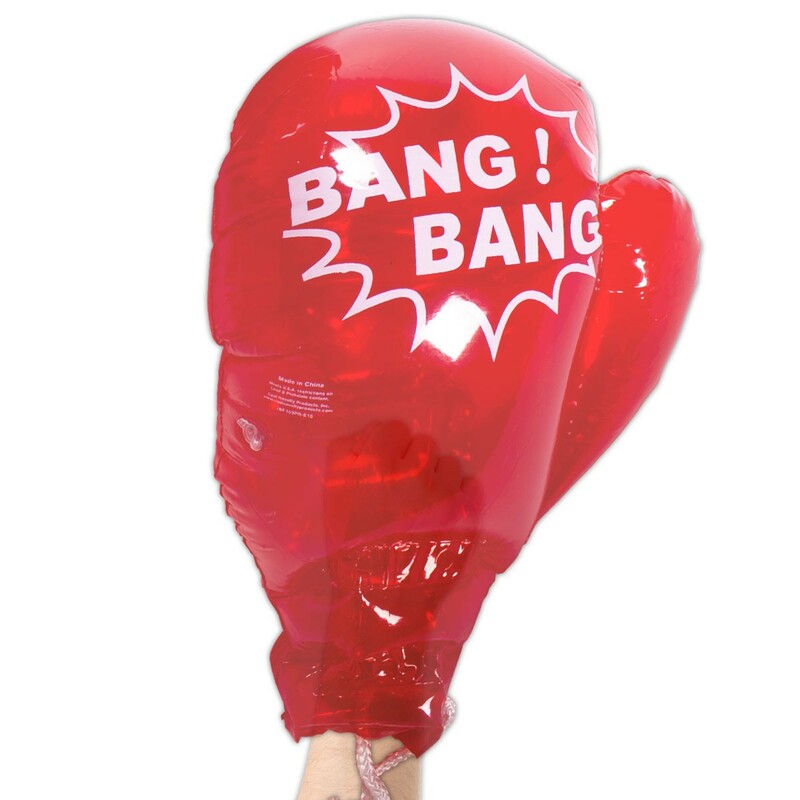 These 18" boxing gloves are a novelty reproduction of the ones worn by professional fighters and boxers. They pack a punch where it counts as a great promotional product. Excellent for boxing matches, sporting events, conventions, trade shows, or any company looking for a unique way to boost business. These gloves will be a hit for your business once you add an imprint of your logo or business name. Order them by pair so that all of your customers can practice their jabs. Make sure your ad campaign is a real knockout! Priced per pair (1 right and 1 left). Please Note: "BANG! 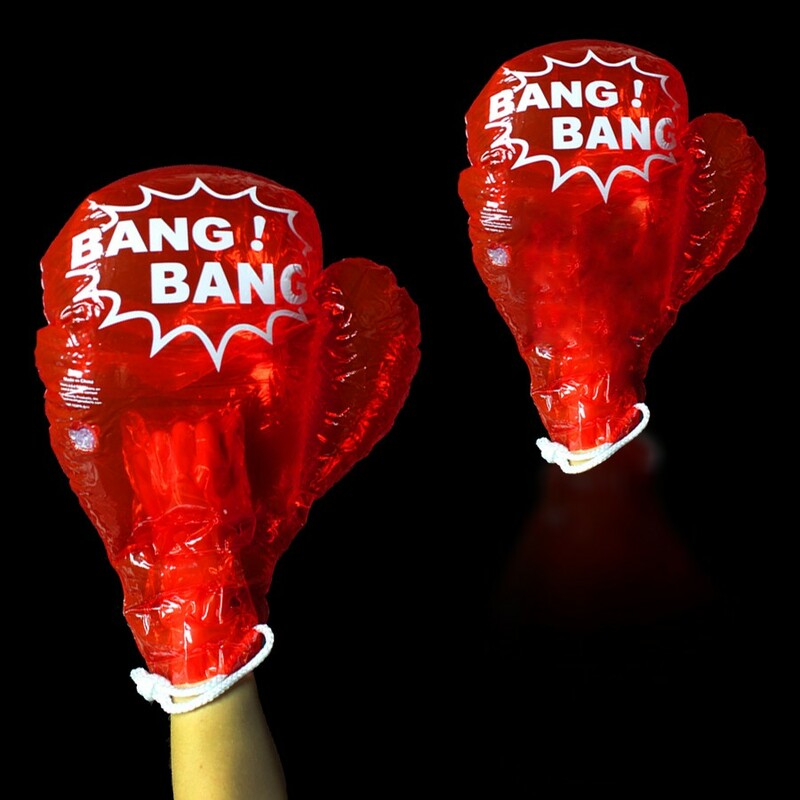 BANG!" comes preprinted as a stock item. We imprint AFTER the Boxing Glove has been manufactured making exact and uniform imprint placement impossible to guarantee. If you require the imprint to be exactly in the same spot, please do not order this product. Above pricing includes a 1 color imprint in 1 location. For all imprinting add a Set-up fee of $55 (v). Imprint Minimum is 240 pcs. Imprint Method: Pad Print Only. Production Time: 5-10 business days after receipt of artwork and approval.